$1.19 to $48.99 & FREE Shipping on orders over $59 $35. 5.8-7.3 °L - Viking. Curing temperatures in the range of 110–120°C give the malt an aromatic, nutty character. The high curing temperature results in clearly reduced enzyme activities compared to Pilsner Malt. Munich Malt is ideal malt for dark lagers, festival beers and bocks for underlining malty flavors and full bodied taste. The decreased enzyme activities have to be taken into consideration when designing the brewing recipe. In 2016 Viking Malt and Danish Malting Group joined forces to better serve their customers. Now the new Viking Malt is the leading malting company in Northern Europe and supply raw materials and services to the global brewing, distilling and food industries. 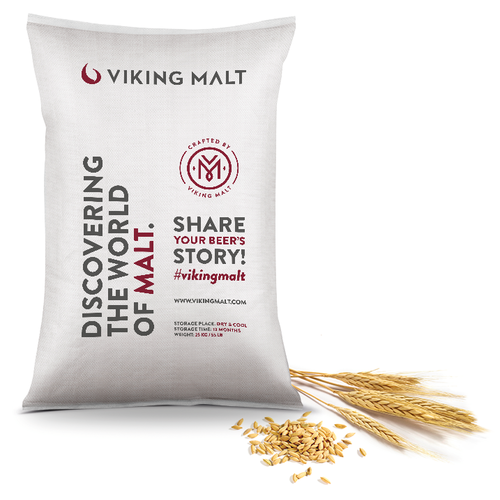 Viking Malt has 6 malthouses in areas where our distinctive Nordic barley is sourced: in Halmstad, Sweden; Vordingborg, Denmark; Lahti, Finland; Panevezys, Lithuania and in Sierpc and Strzegom, Poland. The annual malting capacity is close to 600 kilotons. See the Documents tab below for Product Information and Typical Analysis. First time trying this brand of grain. what is the diastatic power of this malt? BEST ANSWER: According to the Viking Malt Beer & Malt Handbook,Munich Light malt has a typical Diastatic Power (WK d.m. of 100 = 33 °Lintner). Complimentary Vienna malt has a typical Diastatic Power (WK d.m. of 330 = 99 °Lintner).